Here are some 2019 bingo coveralls that are as easy as one, two, three! Give your bank balance a New Year’s boost to celebrate in style with Bingo Hall New Year $2,019 Coveralls! Join in for a bingo coverall with big returns as you play for whopping $2,019 starting pots from January 1st to January 6th! There will be a full hour of $2,019 starting pots from 7pm – 8pm EST every day during the promotion in the Dollar room! Get ready for a new year celebration windfall courtesy of New Year $2,019 Coveralls! Grab a glass of champagne and make it one to remember! 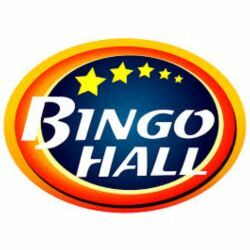 Good Luck in this fun and profitable bingo promotion from Bingo Hall!